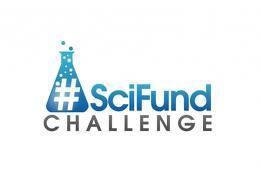 I am participating in the 4th SciFund Challenge, a crowdfunding event for scientific research! My project, part of my Ph.D. dissertation research, is looking at the feeding ecology of local species of sharks with the goal of generating data that can help managers to conserve and protect these species. I’d appreciate any assistance you can provide in terms of either donating funds to the project or helping to spread the word. A donation of any size is helpful, but larger donations have rewards associated with them, including the opportunity to join us for a day of shark research, or the opportunity to name one of our satellite tagged sharks and track it on Google Earth. I’ll post frequent updates here, on twitter, and on my Facebook page. Please let me know if you have any questions about the project!